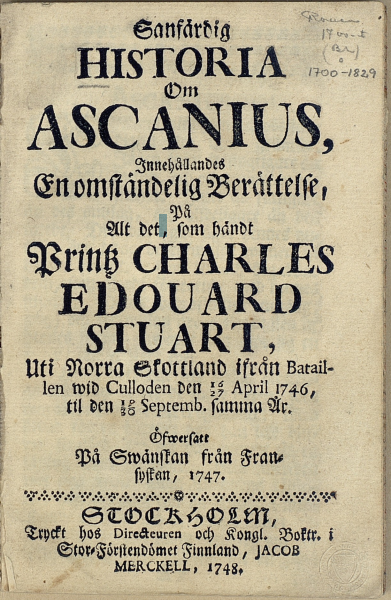 It has been transcribed but needs editing by a native Swedish speaker with a knowledge of 18th century texts. To see how difficult it is to read, here is the same text in Fraktur. 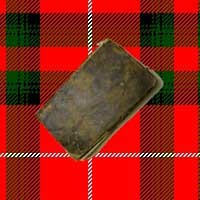 wid Culloden den 16/27 April 1746, til 19/30 Septemb. samma År. Here is the same text, in Fraktur, as it is in the book. På Swänskan från Franſyſkan, 1747. Stor-Förstendömet Finnland, JACOB MERKELL, 1748.